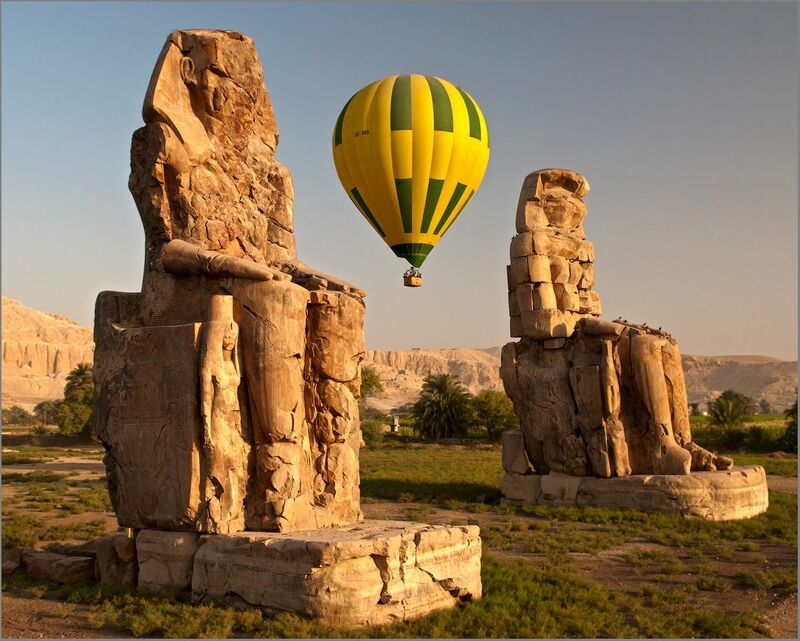 Private option of Luxor air excursions gives you more variety of places to visit, things to do and time to stay, ideal option for curious travellers who wants to discover as much as possible in a short period of time. 05:00 am Pick up from your Sharm el Sheikh hotel and transfer to the airport. 06:00 am Take your flight to Luxor, around 50 minutes. 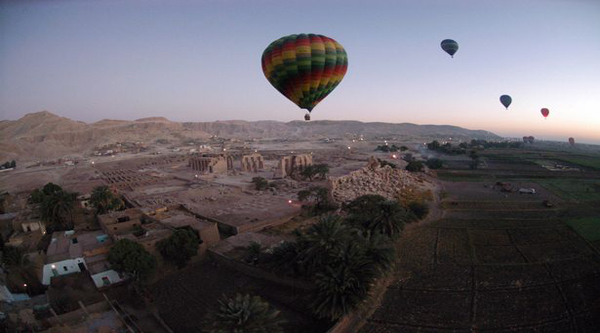 07:00 am Meet our guide in Luxor and start your city tour. 08:00 am Visit to Memnon Colossus. 09:00 am Queen Hatshepsut temple. 10:00 am The Valley of the Kings: visit 3 different tombs opened to publi. 12:00 am Optional visit to King Tutankhamon real or fake tomb is available. 14:00 pm Visit to huge Karnak temples. 17:00 pm Optional feluca ride to Banana island is available. 21:00 pm Our representative will meet you and transfer to your hotel. Luxor, which developed into the great capital of the Egyptian empire, had no particular importance during the 1st thousand years of Egypt’s ancient history. 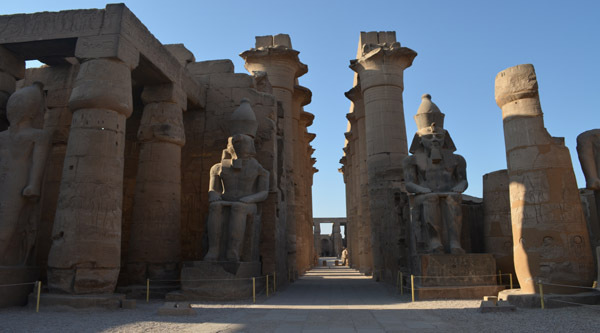 It is one of the oldest cities in the world but we don't know when exactly Luxor was built. It was only after the collapse of the Old Kingdom when the Thebans emerged victorious and launched Egypt on its second great period: the middle Kingdom. However Luxor was the capital for only a short period. The most significant even in Luxor was introduction of the god Amon Ra and the building of modest shrines in his honour. You do not need to worry about transfers as we do pickups from any hotel in Sharm el Sheikh. 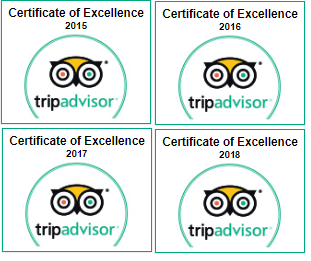 We will pick up from your hotel in Sharm el Sheikh. as per the time stated in your invoice, as a rule between 04:45 am and 05:15 am depending on your hotel location. Our representative will transfer you by a/c van to Sharm el Sheikh International Airport, will give you some instructions so you will catch your flight to Luxor hassle free. Flight to Luxor takes just 50 minutes. Our English speaking guide will be waiting for you outside the arrival hall of Luxor airport with the sign "sharm-club.com". Our first destination will be West bank where we will visit the west Thebes. On the way to the Valley of the Kings we will have a short stop at Colossi of Memnon to take some pictures with these gigantic statues. These two somewhat weathered seated statues greet visitors to the necropolis. They are all that remain of what was once the largest mortuary temple in the necropolis, that of Amenhotep III. Deep in the limestone hills to the north-west of Deir el Bahri is a remote valley known as the Valley of the Kings . Here are the pharaohs of the 18th, 19th & 20th Dynasties chose their eternal resting place. Thutmose I was the 1st pharaoh to excavate a tomb in the barren valley, and to construct his mortuary temple at the edge of the verdant valley. Here the most famous King Tutankhamen is situated. Can be optionally visited on your day tour (150 LE per ticket . This famous tomb is among the smallest in the Valley of the Kings but the only one that was found unrobed. The five thousand-odd objects cataloged from the tomb represent a unique accumulated collection and, perhaps, the richest placed in any tomb. Our visit includes entrance to 2 different tombs, so you can get an idea about Pharaonic funerary art. Next stop at the most beautiful temple of the Valley Queen Hatshipsut temple at Deir el Bahari. This terraced sanctuary designed by queen’s architect Senmut is the most beautiful temple in the necropolis. Her temple was designed like the adjacent 11th Dynasty mortuary temple of Mentuhotep the Great, with terraced courts. These rose, one above the other, by connecting inclined planes at the centre. Lunch in a local restaurant in Luxor on set menu basis will be offered. 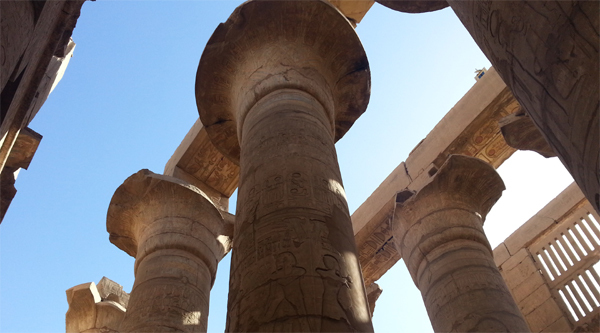 After lunch we'll go to the East bank to explore huge temples of Karnak which has no equal in the world. It is not a single temple, but temple within temple, shrine within shrine, where almost all the pharaohs, particularly of the new Kingdom, wished to record their names & deeds for posterity. Its famous Great Hypostyle hall has 134 columns arranged in sixteen rows, covers an area of 4,983 square metres. It is the largest single chamber of any temple in the world. The hall was decorated throughout. All the walls and the shafts of the columns were covered with reliefs & inscriptions showing adoration of the deities, especially Amon-Ra. Nile felucca ride to Banana island to discover a vast collection of banana plants, to enjoy sailing along the Nile and to observe a beautiful Egyptian countryside and its islands is offered optionally. By the end of the program you will get some time for shopping and then transfer to Luxor airport to catch your flight back to Sharm el Sheikh where our representative will meet you and transfer to your hotel. We did Luxor trip and that was extra special thanks to Ahmed our guide and Mohammed our driver. Thanks to both for making it such a special day that we will never forget. We booked private day trip to Luxor. I paid the deposit online before leaving the uk and got confirmation to meet a rep the day after my arrival. This went smoothly and everything was fully explained. The trip itself could not have been better, picked up on time from our hotel by their friendly rep, flight on time to arrive at Luxor to be met by Achmed our tour guide for the day. We were a group of three making it a real personal tour, no rushing at all. We visited the Valley of the kings, Karnak temple and others, with an authentic egyptian lunch included. The whole day was a complete pleasure with Achmed's local knowledge proving invaluable, nothing was too much trouble.